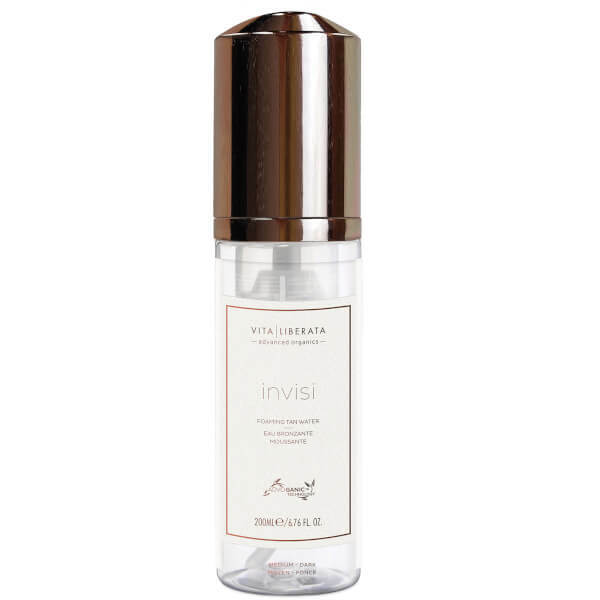 Achieve naturally glowing skin with Vita Liberata Invisi Foaming Tan Water in 'Medium-Dark', a clear tanning solution that hydrates while lending skin a beautiful glow. Clear like water to eliminate unwanted transfer, the foaming self-tan applies effortlessly to skin, drying quickly so you can get on with your day. Packed full of organic botanicals that are enhanced by the brand's Advoganic™ technology, the innovative tanning water will infuse skin with hydrating and anti-ageing properties while imparting a natural-looking glow. 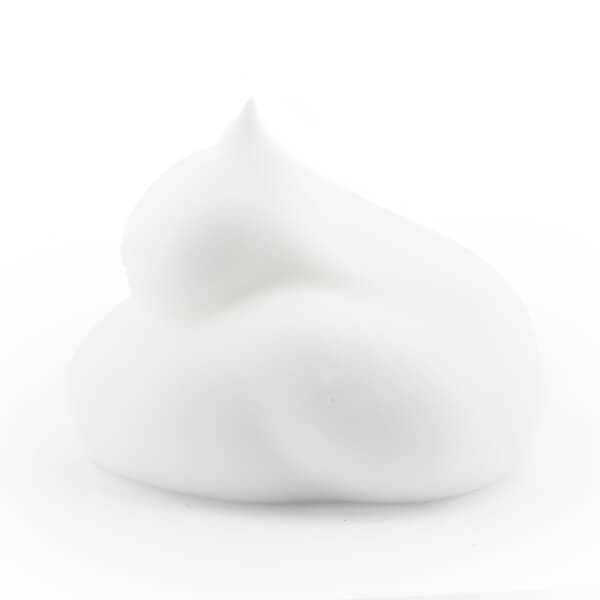 Exfoliate but do not moisturise or use moisturising shower cream prior to tanning. Use a tanning mitt and apply to the skin in circular movements. Allow at least 4-8 hours before showering off with water. Wash hands after application. Aloe Barbadensis Leaf Juice *, Dihydroxyacetone***, Glycerin*, Decyl Glucoside, Saccharide Isomerate***, Cucumis Melo (Melon) Fruit Extract**, Hyaluronic Acid, Vitis Vinifera (Grape) Seed Extract**, Ginkgo Biloba Leaf Extract*, Punica Granatum (Pomegranate) Extract*, Rubus Idaeus (Raspberry) Seed Extract*, Hydrolysed Silk (Soie), Glycyrrhiza Glabra (Licorice) Extract*, Sodium Benzoate, Potassium Sorbate, Citric Acid. *Organic, **Natural Origin, ***Ecocert.